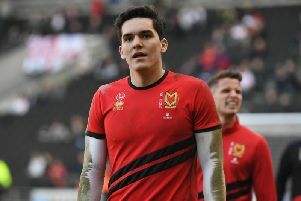 Stevenage boss Dino Maamria felt his side deserved victory at Stadium MK on Saturday as Dons came from behind to draw 1-1. Ilias Chair's long-range effort in the first half had separated the sides until the final seven minutes when Chuks Aneke tapped home his 17th of the season to share the spoils. 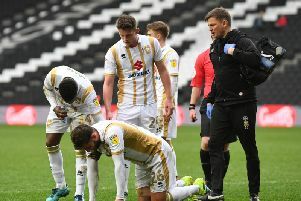 Having lost every other game since late January, Stevenage put that run to bed with a draw, but manager Maamria felt his side deserved more than a point. “It's two lost. We should have won the game,” he said. “We had enough chances to win and I thought they were predictable for what they were doing. We congested the middle of the park, we didn’t let them play and they put a lot of diagonal balls in late on in the game and we should have dealt with the first and second one for the goal. “Overall, it was a very, very good performance. We have played three tough games this week and the lads have been brilliant for all three.